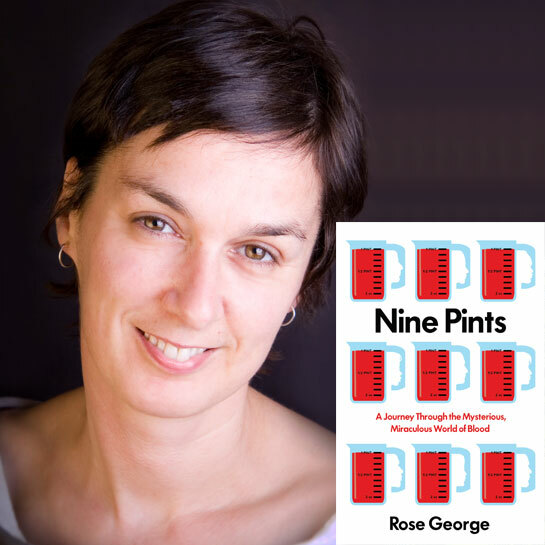 Spanning science and politics, stories and global epidemics, Rose George’s Nine Pints takes us from ancient practices of bloodletting to current research seeking to bring synthetic blood to a hospital near you. Blood carries life, yet the sight of it makes people faint. It is a waste product and a commodity pricier than oil. It can save lives and transmit deadly infections. Each one of us has roughly nine pints of it, yet many don't even know their own blood type. And for all its ubiquitousness, the few tablespoons of blood discharged by 800 million women are still regarded as taboo: menstruation is perhaps the single most demonized biological event. Rose George, author of The Big Necessity, is renowned for her intrepid work on topics that are invisible but vitally important. In Nine Pints, she takes us from ancient practices of bloodletting to the breakthough of the "liquid biopsy," which promises to diagnose cancer and other diseases with a simple blood test. She introduces Janet Vaughan, who set up the world's first system of mass blood donation during the Blitz, and Arunachalam Muruganantham, known as "Menstrual Man" for his work on sanitary pads for developing countries. She probes the lucrative business of plasma transfusions, in which the US is known as the "OPEC of plasma." And she looks to the future, as researchers seek to bring synthetic blood to a hospital near you.